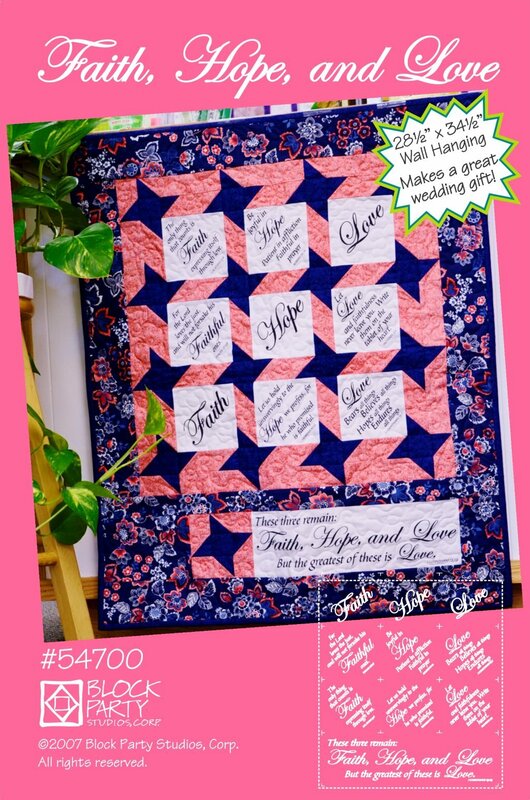 Six inspirational blocks with scripture verses in concert with the three blocks "Faith, Hope and Love" with the title banner makes a 28.5" X 34.5" quilted wall hanging. A great wedding gift! Black print on either natural or white fabric.